Pakistan Tehreek-e-Insaf (PTI) Chairman Imran Khan on Thursday said all the parties are calling for the constitution of an independent judicial commission under the Supreme Court of Pakistan over Panama leaks. 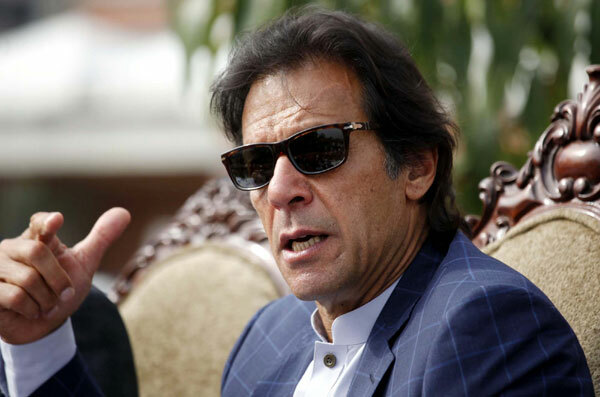 Speaking to reporters on his arrival in London, Imran Khan said there will be no sit-in protest if a judicial commission is formed under an independent judge. The PTI chief threatened street protests in case justice is not done. “We don’t want to destablise the government, the government is doing that to itself,” he added. He criticised the finger-pointing on part of the government, saying he is not behind leaking of the Panama Papers. “Panama leaks happened outside (the country),” he added. He said his party is all set to celebrate its foundation day in a historic fashion in Islamabad’s F-9 Park. Imran Khan said while onboard the plane to London he got a chance to talk to Interior Minister Chaudhry Nisar Ali Khan. “Chaudhry Nisar was under the impression that we might start marching on the Red Zone or Blue Area in Islamabad,” he said. He said when he told the interior minister that the event would be organised at F-9 Park, the latter expressed no objection to it. Earlier talking to reporters before boarding the flight for London, Khan said he did not know whether or not Prime Minister Nawaz Sharif is well “and if he has gone to London for his medical checkup then there is no issue in it. We pray for his recovery and good health”.